All true art lovers, collectors, dealers and contemporary art market actors know quite well that there is always amazing exhibitions of well-known contemporary artists at London-based Inigo Philbrick. We could only mention one exhibition from 2015 – the show entitled Spray, Memory featuring works by Sterling Ruby and Mike Kelley. Inigo Philbrick has organized another great show featuring works by two great contemporary artists – Christopher Wool and Mike Kelley. 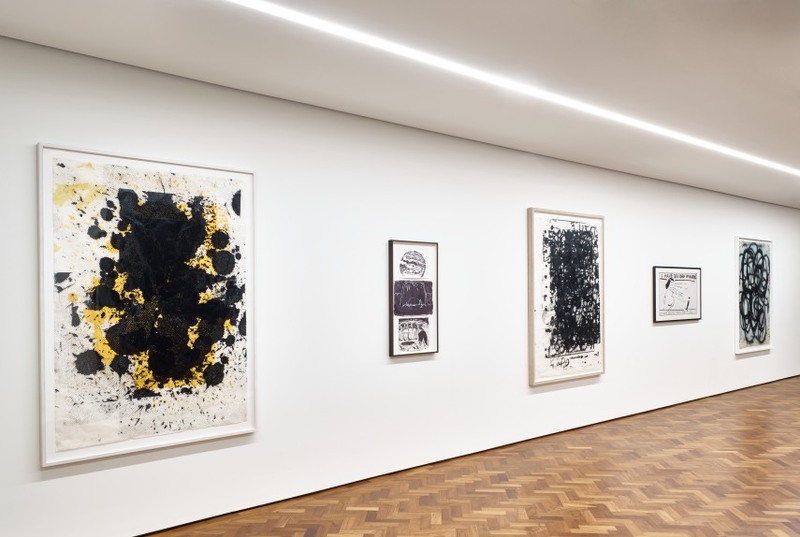 This two-artist exhibition is entitled Paintings on Paper, and the show pairs two agreed masters of their period, while showing the possibilities of mark making and appropriation employed by both artists. 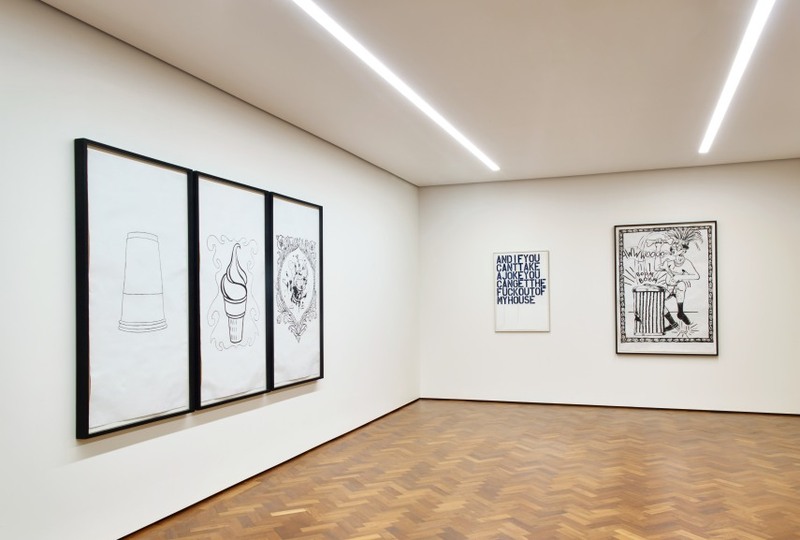 Christopher Wool and Mike Kelley are one of the most significant artists in contemporary art. They are not only popular among wider circles of art lovers, but also among collectors. Let’s just mention that pieces by these artists have been achieving great results at major auctions. For example, Christopher Woll’s Untitled achieved one of the best results of all lots during the famous November New York auction season in 2015. Indeed, Wool’s works are regularly being sold for high prices at major auctions. This amazing artist is known for his paintings of large, black, stenciled letters on white canvases. Using a system of alliteration, with the words often broken up by a grid system, or with the vowels removed (as in ‘TRBL’ or ‘DRNK’), Wool’s word paintings often demand reading aloud to make sense. Wool provides tension between painting and erasing, gesture and removal, depth and flatness. Mike Kelley worked in a variety of different media. He worked with found objects, drawings, assemblage, textile banners, performance and video. 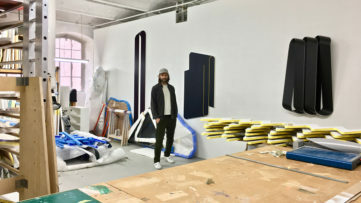 Writing in The New York Times, in 2012, Holland Cotter described the artist as one of the most influential American artists of the past quarter century and a pungent commentator on American class, popular culture and youthful rebellion. 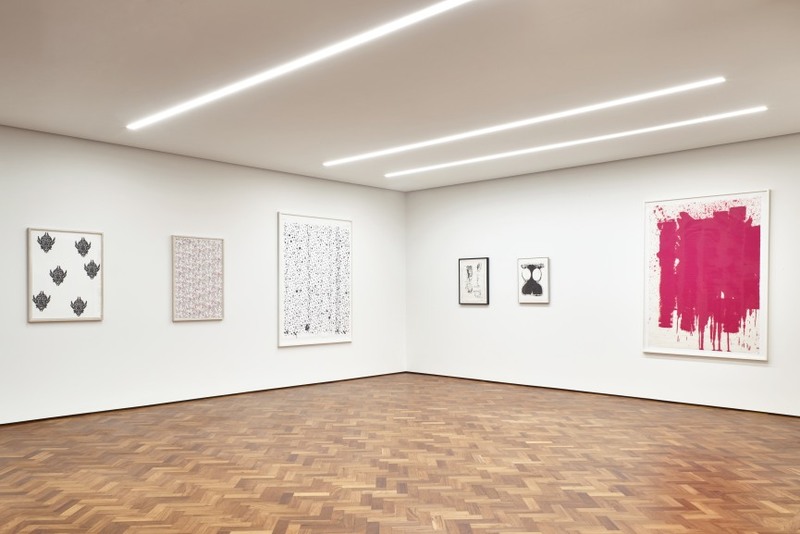 Mike Kelley’s paintings on paper, executed in black acrylic on a built up and textured white ground, borrow from the vernacular of political cartoons, advertising and optical illusions such as the Rubin’s Vase. Throughout the works a sardonic humor melds with a vision of the world as a place manipulated by transformative forces and wild instinctual emotions. His is an ordinary world that recognizes profound irregularities and extraordinary or even sacred sites and rites. With assured draughtsmanship and fantastic contouring of three-dimensional spaces, Kelley’s paintings read boldly and with a depth that is unexpected given their medium. 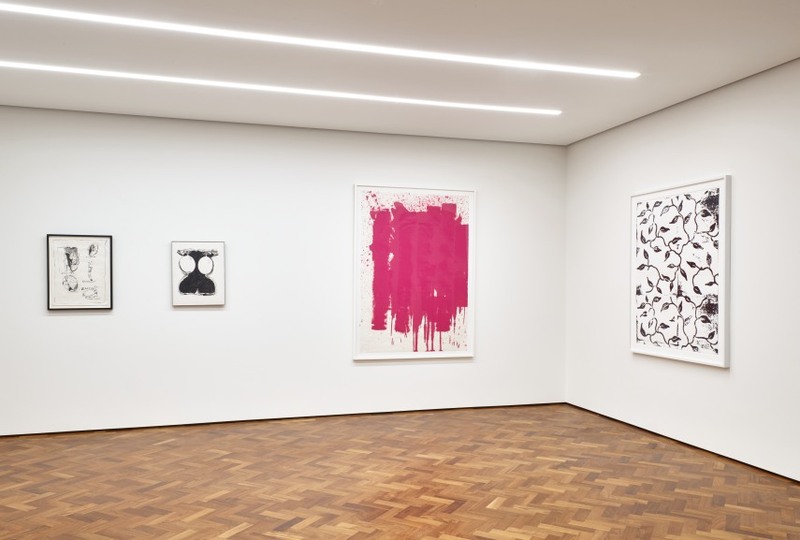 Christopher Wool accomplishes a similar task, confusing the eye with patterns, gestures and silkscreen reproductions of the same. His works, never what they first appear, confound expectations of artistry and of labor. 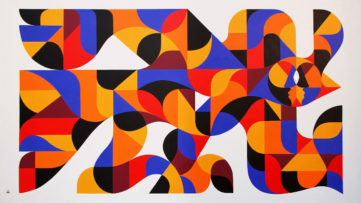 The exhibition includes pictures from each of Wool’s major series; early pattern paintings produced using rubber block prints, a stuttering and hand worked text painting, graffiti inspired gestural abstraction and re-workings of these same processes using a manipulated and interrupted silkscreen. Joined together the two bodies of work share a visual affinity, naturally pairing in a shared language of critique and examination through drips, drops, and spare words. Paintings on Paper exhibition joins works by these great artists that were created between 1981 and 2002. It doesn’t matter whether you are a collector, dealer or art lover. This show is a must-see event for all those who follow developments in the world of contemporary art. The exhibition entitled Paintings on Paper opened on February 7, and will be on view until April 1, 2016 at Inigo Philbrick in London. Featured Image: Paintings on Paper exhibition. All Images courtesy of Inigo Philbrick.